Which is the Best Costa Smeralda Beach? The Best Costa Smeralda Beach? Which is the best Costa Smeralda beach? The Costa Smeralda is full of incredibly beautiful beaches and I have set myself the difficult task of finding the best one. Together with my wife Maria and our young son I have spent many a summer lying on beaches or splashing about in turquoise seas all in an effort to discover the best beaches in Sardinia. 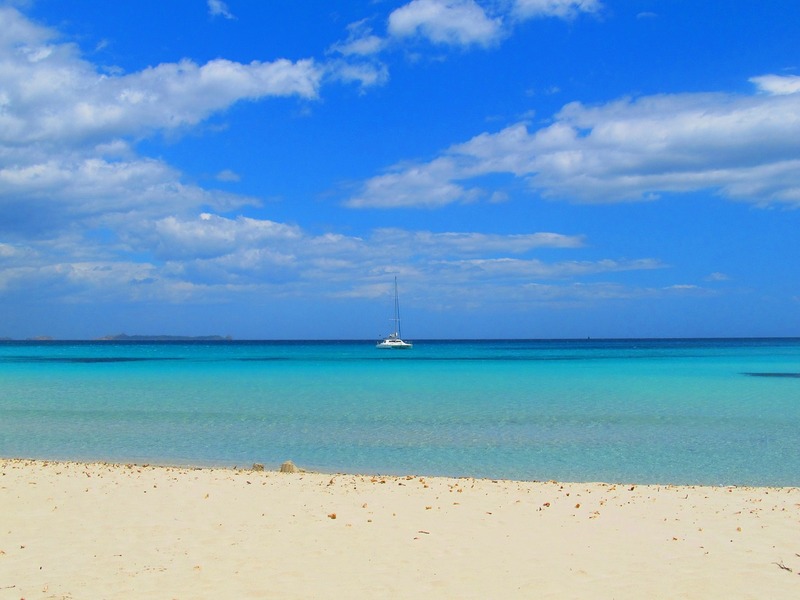 If you've explored our site in detail you'll realize that we think the best beaches in Sardinia are those little known beaches on the east coast (view article here) . Despite loving the east coast the Costa Smeralda has some really incredible beaches too. Four in particular are simply stunning. As is usually the case with our family we couldn’t decide which Costa Smeralda beach is the very best, so the beaches are listed in no particular order. 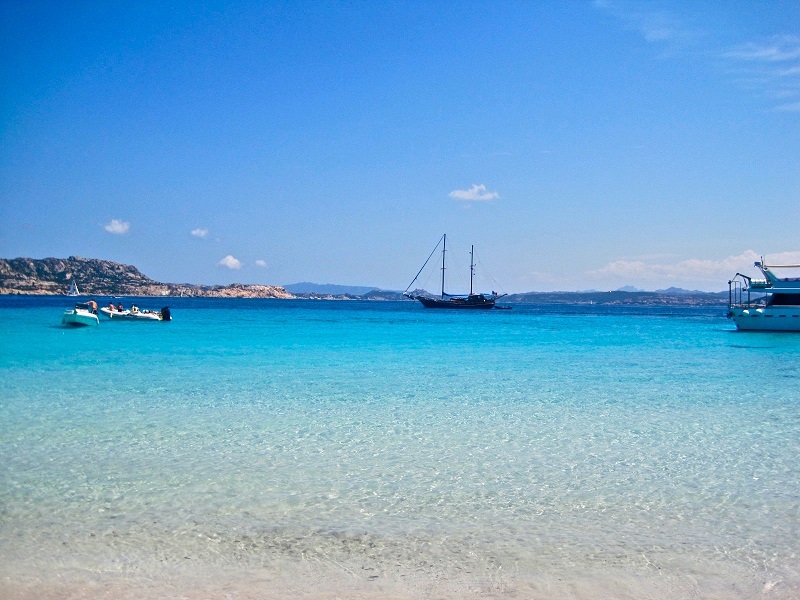 For more Sardinian & Costa Smeralda beach photos click here. One of the most famous of the many beautiful Palau beaches and a little less than two miles from Palau town. 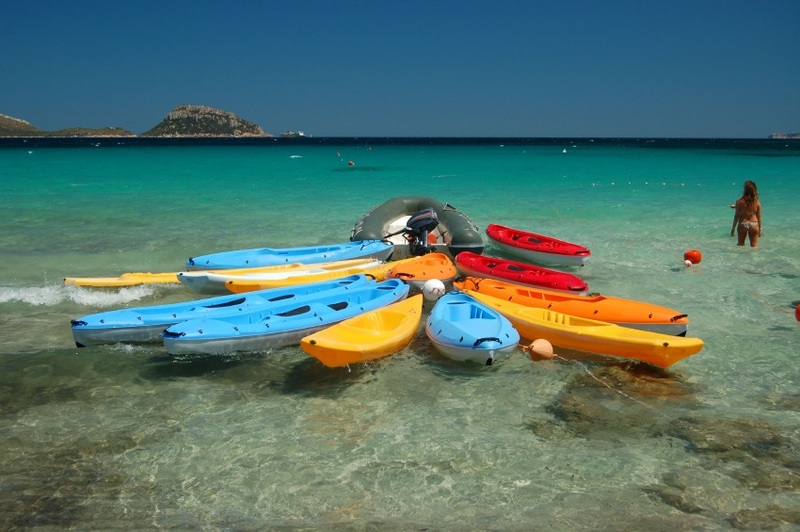 The shallow crystal clear seas and well sheltered bay of this peninsular are perfect for families with young children. If you enjoy walking you will adore the lovely walks behind the beach which take you through spectacular scenery with great views. Base yourself in nearby Palau from where it is easy to explore although you will need a car which is best booked before you leave. The best place to stay in Palua is La Vecchia Fonte. It is one of the friendliest hotels on this coast and the rooms are spacious as well as spotless. If you want to be nearer to the beach then try the Hotel Capo d'Orso Thalasso & Spa, which is a superb 5 star hotel with a dreamy location. From Palau take the SS 123 in the direction of Capo d’Orso and take the right turn-off after 3.8 kms. Turn left after another 100 meters then keep straight on for about another half a kilometer. Budelli is a little island, part of the Maddalena archipelago, and is home to some of the loveliest beaches in all of Sardinia. The island is a national park and access to a few of the beaches is limited. Don’t worry though as plenty of stunning beaches are still open to all. Spiaggia Rosa (Pink Beach) is the most beautiful of the island’s beaches. Pink sands and myriad hues of an incredibly translucent sea make this beach an unforgettable one. The beach normally looks at its pinkest early in the morning but you'll be watched over by the National Park Rangers while you visit. Sadly many people stole the sand and the beach was beginning to look a little less pink. Actually, anywhere you go on Budelli island and the other islands of the Maddalena you'll find beautiful beaches and warm and calm waters, perfect for snorkeling or simply splashing about in..
Not a lot of choice on La Maddalena and by far the best bet is the Excelsior Hotel, otherwise stay in Palau and take a boat trip across for the day. The car ferry leaves from Palau to La Maddalena every 30 minutes or so in season. To visit Budelli though you will need to take the National Park boats that do a whole day trip out including lunch. Otherwise charter a yacht! You won't need to sell your home either, it really can be quite affordable, read our experience of boat charters here. Perhaps the most famous Costa Smeralda beach, this is a great beach for kids with shallow waters and sands lapped by an incredible turquoise sea. It's not only for kids but also for those wanting a romantic spot of almost Caribbean like beauty. If you enjoy snorkeling then this is a good beach but you will need to bring your own gear as there is nowhere to hire equipment. The half moon crescent shape is divided into two by some rocks which older kids will enjoy exploring. Spiaggia del Principe is named after the Aga Khan who fell in love with this spot in the sixties and was the first to start making the Costa Smeralda one of the “in” destinations for the rich and famous. Like all beaches on the Costa Smeralda this one is free and this has prevented the snobby attitude you get on the beaches of the South of France. Thankfully too the beach is rarely crowded except in July and August; try to visit during June or September. 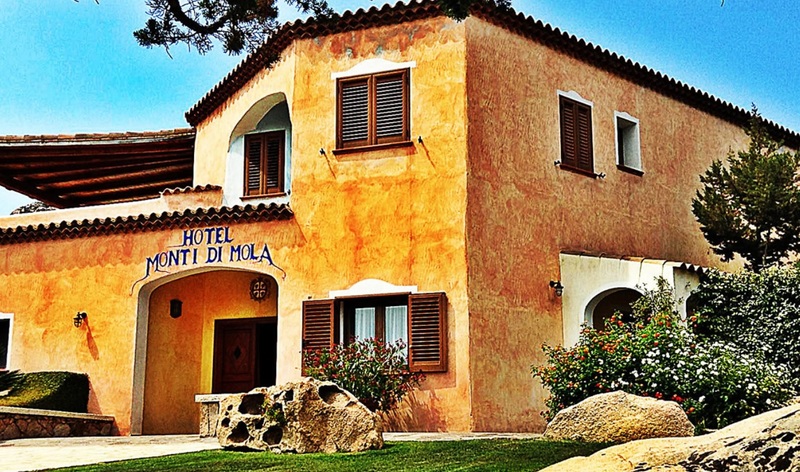 The Monte di Mola is the hotel I would recommend. This is one of the few hotels on this coast that offers good value for money and is a good base to explore Principe beach and the other beaches of the Costa Smeralda. Principe beach is around a kilometer outside of Romazzino, your hotel will be able to give you detailed directions. After you park in the parking area you will need to walk for about fifteen minutes to reach the beach. The colour of the sea off Pevero beach changes from sapphire blue through to emerald green in a sparkling show of brilliance that seems to change by the minute. The beach itself is ivory white with fine talcum powder sand and the sea is shallow until quite far out - makes it perfect for little kids to splash around quite safely. Behind the beach are some fabulous dunes and juniper forests. If you enjoy watching the rich and famous then this one of the few beaches they frequent. If you don’t they are easily ignored - anyway they are completely overshadowed by this incredible place. 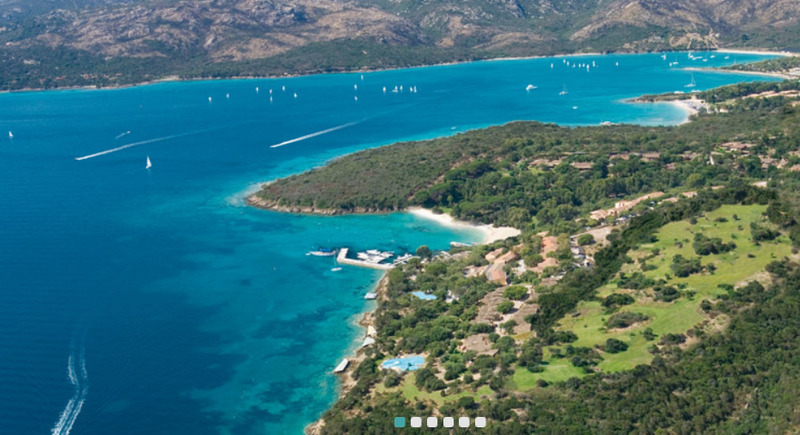 The nearest hotel to the Pevero beaches is the Le Ginestre Hotel. 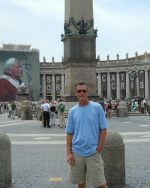 The hotel is great but quite expensive. You will need a car to explore. Take the SS59 from Porto Cervo, the turn-off for Piccolo Pevero is about 1.8kms further on, after a minute or two you can park and the beach is a short ten minute walk away. For more photos of the beaches around Pevero and Porto Cervo click here. Enjoyed my Costa Smeralda beach guide? Why not sign up for our newsletter full of information about beaches in Italy and much else besides. I promise to use it only to send you My Italy Top Tips. What's Your Favorite Beach in Italy? I would love to hear from you as to which beach you think is the best beach in Sardinia, Liguria or indeed Italy. Please let me know. Need a Map of Sardinia to find these beaches? Click here.